In early March 2019, Hollistay will launch campsite bookings across Scandinavia. The service can be compared to booking.com, only instead of offering hotels, apartments, villas, hostels, resorts, and B&Bs, Hollistay is the first to exclusively offer campsite books including 2,300 campsites in the Nordic region. The brand new platform developed by Hollistay and Fastdev will make it much easier for holidayers to book their campsites online. Hollistay offers a completely unique service by providing information about all of the Nordic campsites, their availability and effortless booking through a streamlined platform. The solution should make it as easy as possible to find and book a campsite. All campsites are represented and can choose whether they want to register and post more information, access to which is completely free. Lars and Malin Mellstrand, who are the founders of Hollistay, had owned eight campsites for ten years, but sold them in 2017. The idea for Hollistay germinated in 2016 when they saw that something was missing on the market. The booking systems which exist for campsites in Europe today are somewhat outdated and few are bookable online. – We want to change camping values ​​to today’s requirements for travellers. The camping industry has generally lagged when it comes to digitization. To book a campsite earlier, it took at least eight steps with search, telephone calls and so on, before one could make a reservation. Now it is just a few clicks away, says Lars Mellstrand, founder of Hollistay. 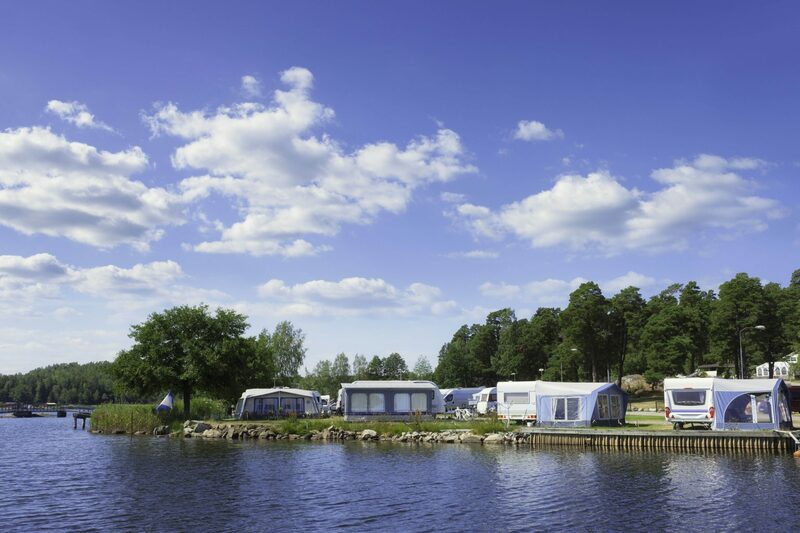 The camping industry produces a turnover of around 400 million euro in Sweden every year and is increasing all the time. In the Nordic countries, it is common to go camping spontaneously because of the changing weather. Therefore, Hollistay also offers cancellation options within 48 hours, just like the hotel industry. Usually, a 40-day cancellation policy applies to the camping industry. – It has become very popular and trendy to camp. Different from the time we went on charter holidays, we now want to experience the local area and travel more sustainably, says Malin Mellstrand, founder of Hollistay. In order to build such a large and advanced platform with a user friendly booking function, the Mellstrands hired their own programming team via Fastdev. The team combines various skills such as design, logistics, programming, project management and more. – We did not know anything about programming before. But we have received incredibly good help and support from Fastdev’s team. They advised us for instance to start making a webpage before developing a more expensive mobile application, says Malin Mellstrand. Fastdev continues to develop the platform and booking system and is also in the process of designing and launching a mobile application for camping fans. – The best thing about Fastdev is that they are very receptive. They always respond at once and we work very tightly together even though we are located in different cities, says Malin Mellstrand.